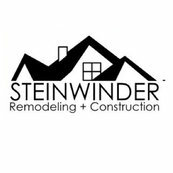 I worked with Tim Steinwinder Construction for at least 8 years before retiring from real estate and relocation. He was my contractor, handyman, and all things construction expert. Tim was 100% kind and patient with all of my clients, no matter what their temperament was. His skills were multi-faceted from his architectural drawing background to the smallest handyman job and a deep knowledge of almost all elements of what it takes to do remodeling or new construction. Tim responds to emails and texts quickly, putting him in the new age, so that you didn't have to chase him down constantly as I had to do with most other contracts. When he promised a job would get done at a certain time, it was. He even did written quotes for bids on jobs as well as comprehensive billing statements for time and materials. All in a timely fashion. I could not have done my job nearly as effectively without him.